Red wine can be considered a healthful beverage because of the numerous health benefits it possesses. Made from fermented dark-colored whole grapes, red wine comes in different grades. The common varieties include Cabernet Sauvignon, Merlot, Pinot Noir, and Shiraz. It has been proven that moderate consumption can lead to a healthier heart, so feel free to drink some wine occasionally. 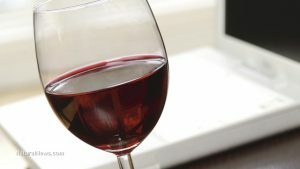 Red wine has a reputation of being good for the body because of its abundance of antioxidants and other vitamins and minerals that contribute to health. Its recorded benefits are what led to the “French Paradox”, which is the observation that red wine consumption contributed to the lower rates of heart diseases among the French, despite the people’s predilection for consuming foods that are high in saturated fats and cholesterol. Wine is good for the heart. Its abundance of antioxidants prevent the arteries from accumulating fat, which helps stave off heart attacks and strokes. Resveratrol, a type of polyphenol, assists in reducing bad cholesterol, preventing blood clots and damage to the blood vessels. Other types of antioxidants, like proanthocyanidins, can reduce oxidative damage to the body. When you drink small amounts, you reduce the risk of heart disease because red wine retains the good cholesterol (HDL) in the blood while minimizing oxidation of the bad cholesterol (LDL) by as much as 50 percent. Studies have shown that drinking one to three glasses of red wine may minimize the risk of stroke in middle-aged men. Findings also showed that some compounds in wine protect the heart from strokes. Moreover, several studies proved that moderate drinkers are less likely to die from heart disease compared to non-drinkers or those who drank beer and spirits. Additionally, red wine has anti-cancer properties. The compound guercetin is believed to be helpful in preventing cancer, like breast and lung cancer. Clinical studies have proven that moderate consumption can prevent basal cell, ovarian, colon, and prostate carcinoma. Red wine also helps reduce the risk of type-2 diabetes in women and minimize insulin resistance. You also significantly reduce the risk of developing Alzheimer’s disease and dementia by drinking moderate amounts of red wine. Drinking red wine can be good to your teeth and gums because of polyphenols. Its anti-inflammatory properties (thanks to resveratrol) protects the body from certain illnesses. At the same time, it keeps the brain healthy while boosting memory. If you’re looking for something to keep your skin looking good, red wine may provide the answer. You can use wine facials or exfoliants made from red wine. The alpha hydroxy acids (AHAs) found in red wine can fight acne and prevent breakouts when applied topically. It also serves as a natural sunscreen. Amino acids fight harmful UV rays and boost skin renewal. Another benefit of red wine consumption is strong, healthy hair. Resveratrol prevents inflammation and cell damage to keep hair from falling out. Drinking red wine will boost blood circulation in the scalp, which minimizes dandruff, flakiness, and itchiness. Red wine isn’t just for drinking. It’s also wonderful for cooking. You can add it on sauces, syrups, or mix it with other alcohols. If you’re looking for tasty ways to use red wine, check out these recipes. What’s interesting is its use goes beyond mere gastronomic delights. Did you know you can also use it as a body scrub, or for fertilizing your garden, or trapping flies? Red wine can prevent heart attacks and strokes. Red wine can boost skin health. Red wine can help prevent type-2 diabetes. Red wine can boost the body’s defense against illnesses. Red wine can protect the skin against harmful UV rays. Red wine can keep teeth and gums healthy. Red wine can boost your memory and keep the brain healthy.